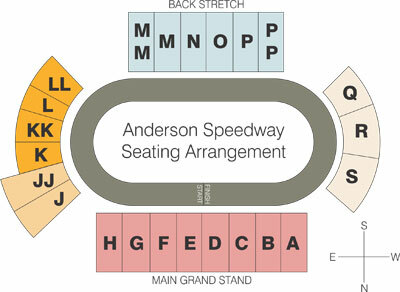 Track Rental Information - Anderson, Indiana Speedway - Home to the World's Fastest High-Banked Quarter Mile Oval! Track rental requires 48 notice. Track rental is per car owner. Other teams/owner will pay the same track rental. Ambulance rate may be split. An ambulance is required for all open wheel cars at a rate of $75 per hour. Track rental is $150 for the first hour and $125 for each additional hour plus the cost of the ambulance. All minors will be required to have a signed waver by their legal guardian and provide a birth certificate.